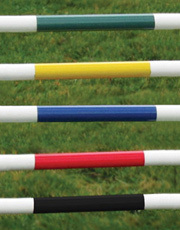 Kid Jump Sets include one pair of standards and a 4' color striped mini jump pole. 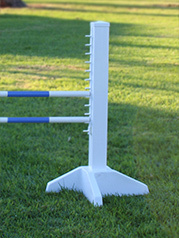 Jump standards are 40" tall with jump strips attached. 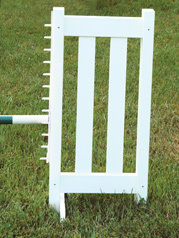 Fully assembled, just snap on the feet! 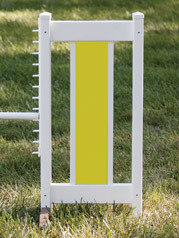 Poles available in blue, black, green, red, or yellow. 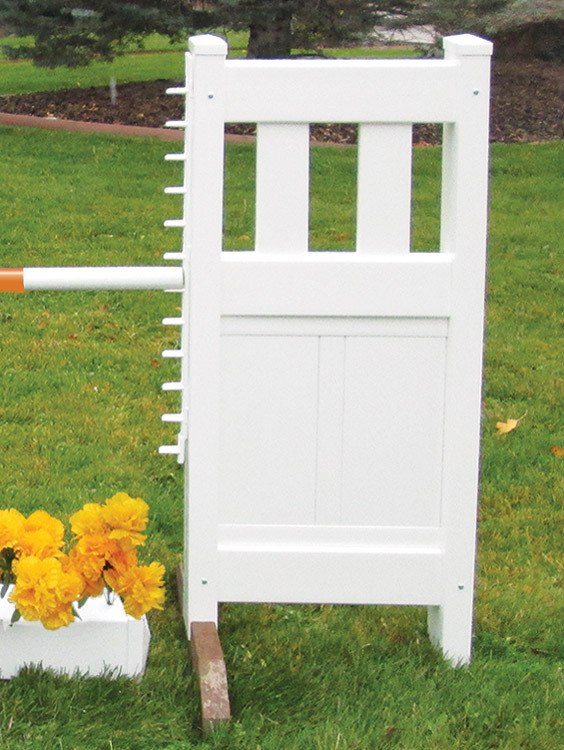 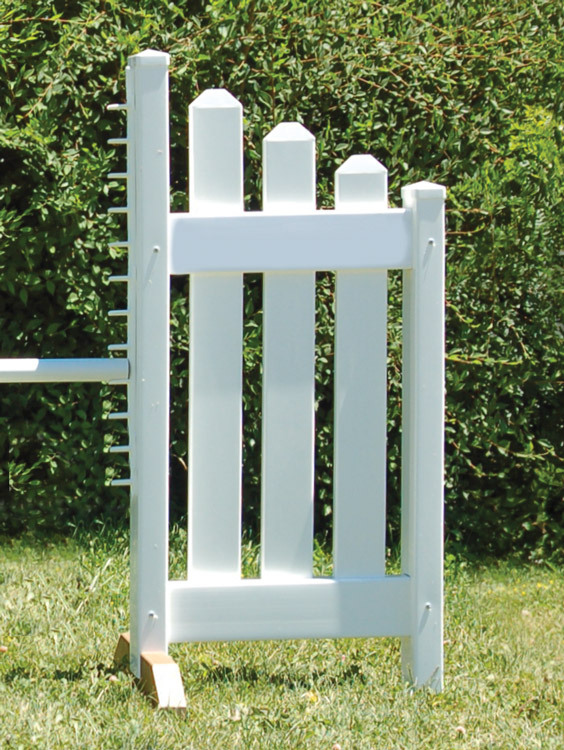 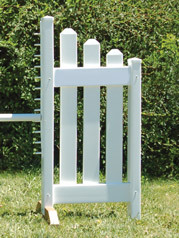 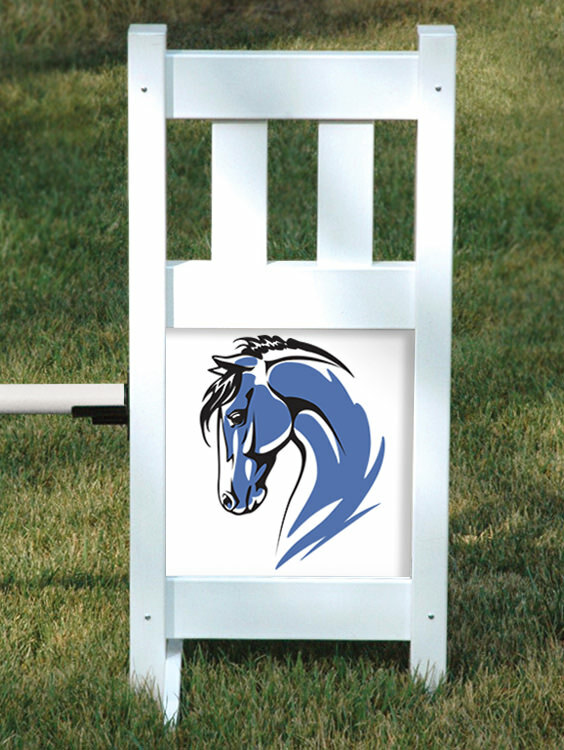 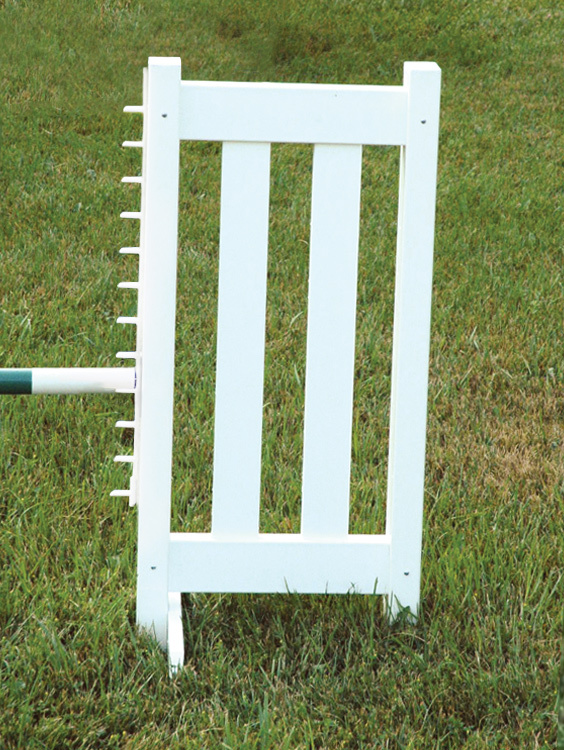 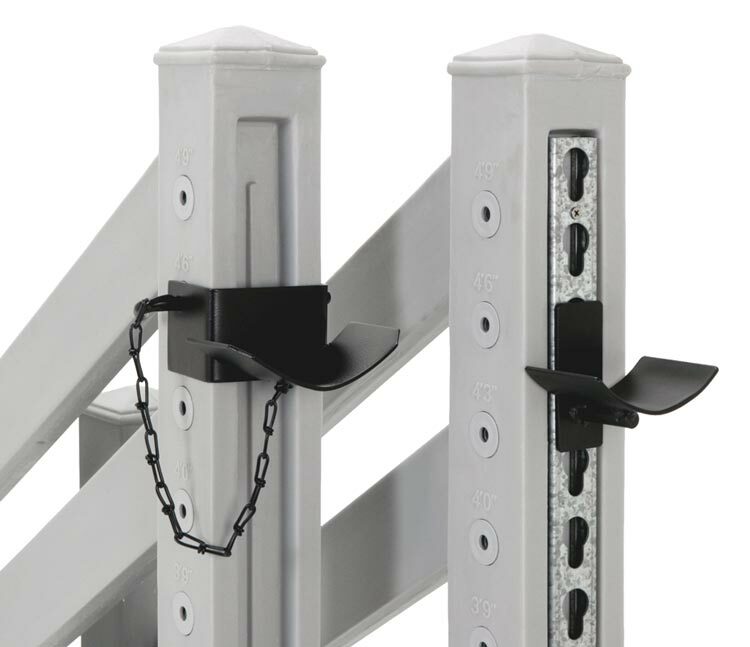 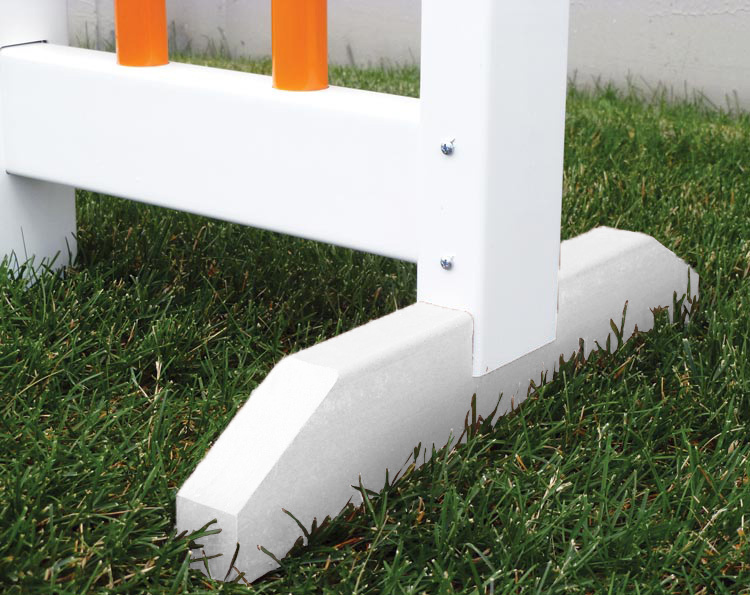 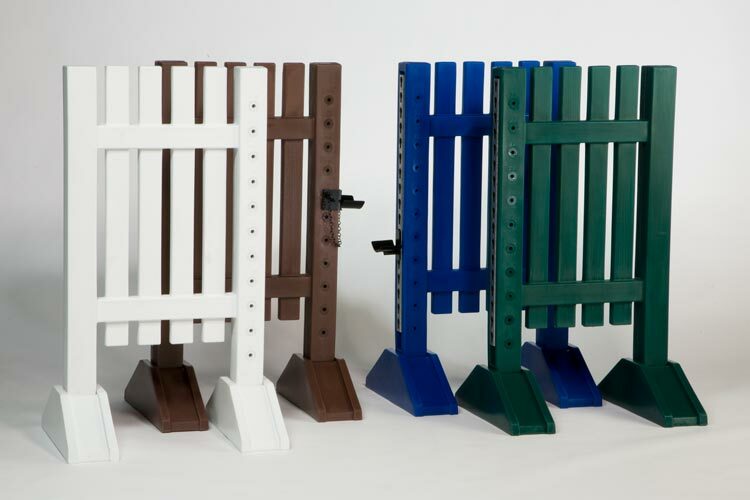 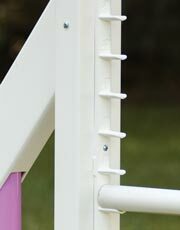 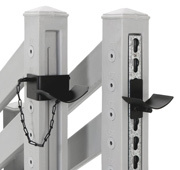 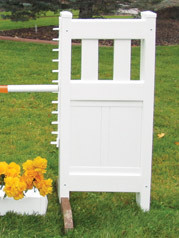 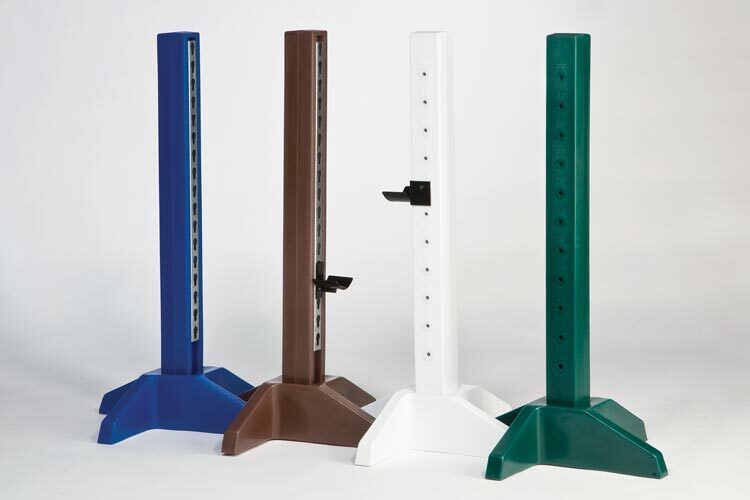 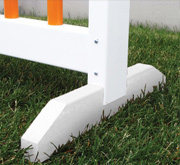 These 45" pony/mini jump standards are sold in pairs and come with solid pin holes. 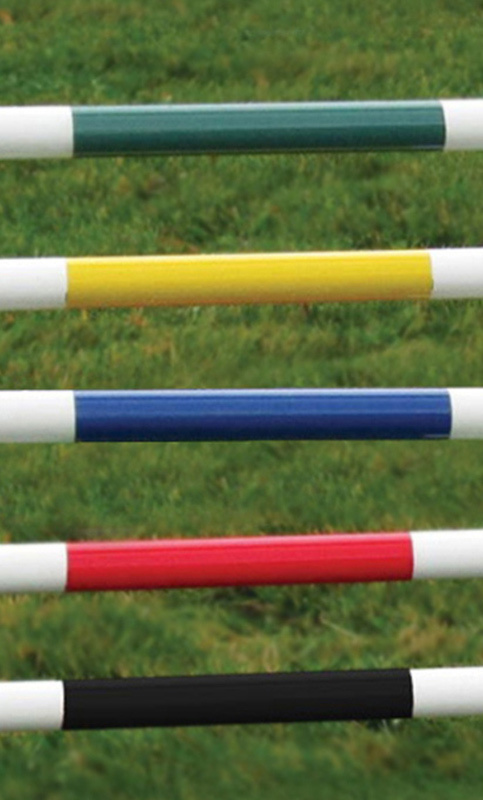 You can jump up to 3'6" and each jump height is clearly marked. 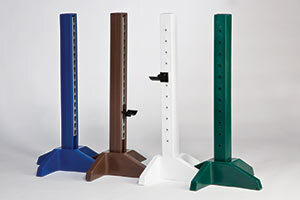 Molded with high density polyethylene. 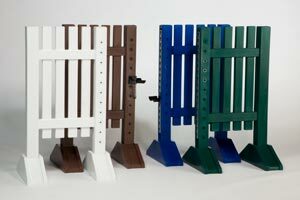 Colors available in white, brown, blue and green. Choose from regular jump cup holes or add pinless keyhole tracks. Jump Poles and Cups not included.